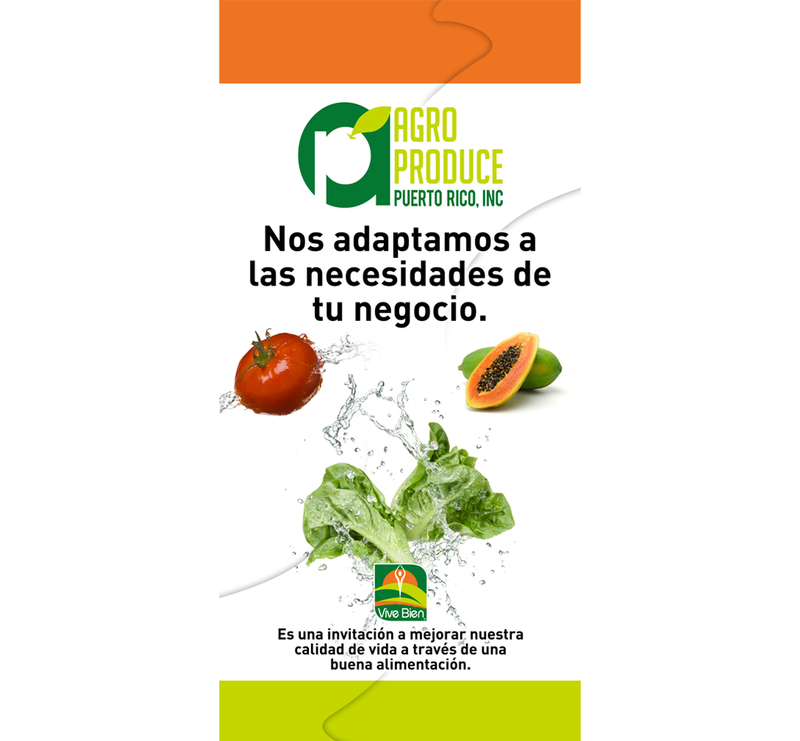 JL Marketing Firm worked with Puerto Rico Supplies to create a new image for their Agro Produce foods division. 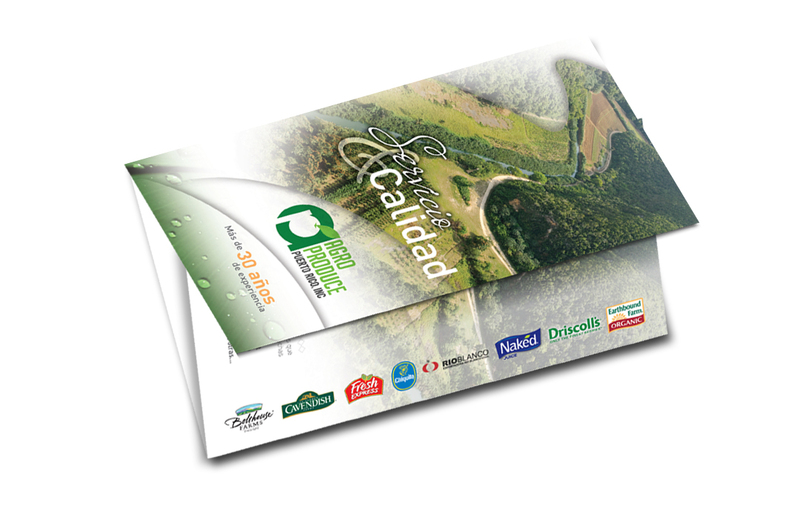 The agency also fashioned a brochure featuring the new branding. This was an exciting opportunity to work with a local company that is carrying out important work right here on the island, as they endeavor to boost local food production and advance the cultivation of our land in order to offer fresh products, all of which leads to an improved economy and a healthier population. 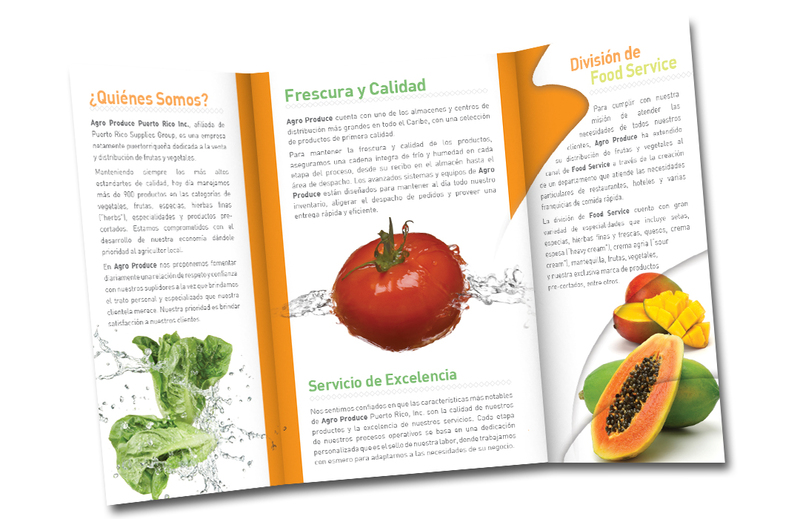 The extraordinary quality of Agro Produce’s product selection, storage and distribution process truly deserves acknowledgment.